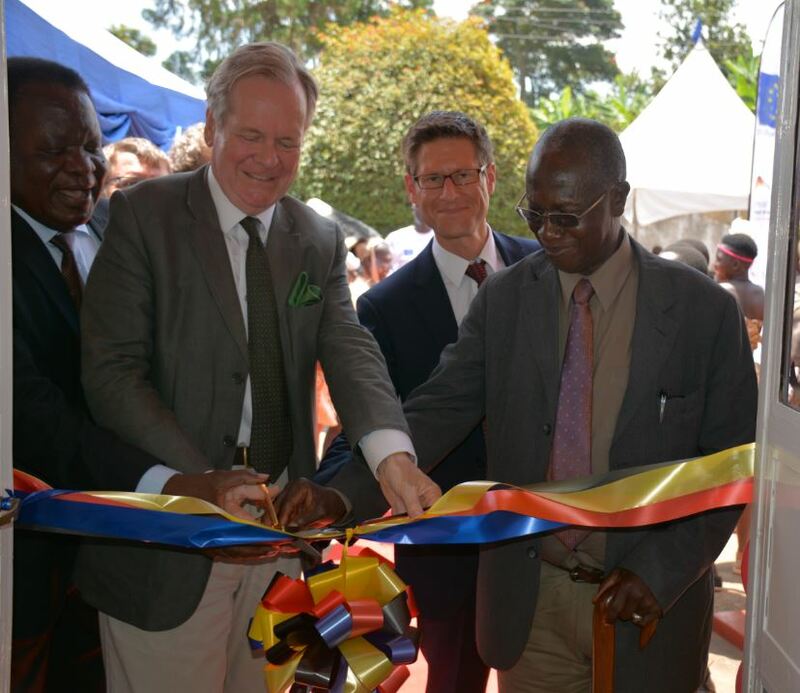 MBALE – Germany and the European Union have jointly opened an office in Mbale that will foster an extension support to Civil Society Organisations in Eastern Uganda focusing on strengthening governance and civil society. The “Civil Society in Uganda Support Programme” (CUSP) which is co-funded by the European Union and the Federal Republic of Germany, is implemented by GIZ, which stands for Deutsche Gesellschaft für Internationale Zusammenarbeit, one of the implementing agencies of the German Development Cooperation. The EU has funded “CUSP” with a 25million Euro grant, while the German Government funding amounts to 5.3million Euros, totalling to Shs128.3 billion. The office was opened by H.E. Dr Albrecht Conze, the German Ambassador to Uganda, and in attendance was the District Chairperson (LC5) for Mbale, Hon. Mujasi Bernard, and Mr Thomas Tiedemann, acting Head of Cooperation at the European Union Delegation to Uganda. The ceremony attracted more than 100 guests, mostly from district authorities and civil society organisations in Eastern Uganda and it was graced with a short cultural performance, followed by welcoming remarks by the LC I Chairperson, Nankupa Cell and by Dr Eckart Bode, the GIZ Portfolio Manager in Uganda. Hon. Mujasi, Ambassador Conze and Mr Tiedemann underscored the importance of civil society to Uganda’s development, praising the close collaboration between Uganda, Germany and the European Union. 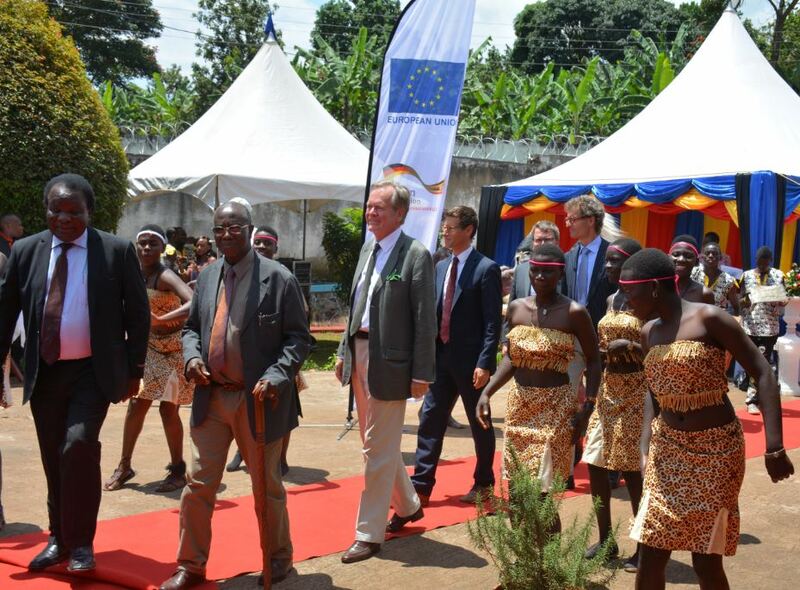 “Germany, one of the founding members of the European Union has since many years joined hands with the institutions of the European Union in the effort of supporting Uganda’s development. This new programme is a further case in point of our long-standing joint engagement for Uganda,” said Amb. Conze. The programme has extended financial support to various Civil Society Organisations and the new CUSP hub in Mbale will specifically support such organisations operating in Eastern Uganda. According to the press release, the programme will be implemented nationwide and has a strong focus on technical assistance and capacity development to strengthen Civil Society and to promote its exchange with relevant state institutions. And it will target CSOs providing services in a wide range of sectors, such as; infrastructure, water, energy, rural development, and good governance with a special focus on women and youth.